Valuations WA as a business we are clearly focused on achieving commercial success, but we realise that the way in which we run our business has an economic, social and environmental impact. We have a CSR framework to ensure that we maintain the focus on achieving commercial success by incorporating ethical values, respect for people, communities and the natural environment into our business activities, culture and strategy. Our CSR Group has full authority from our Board to set, monitor and review a Australasian CSR strategy for the whole business, controlled by the Chairman. The CSR Group is an umbrella forum acting as a focal point and conduit for CSR initiatives. The responsibility for implementing the CSR initiatives lies with our head office. Each Valuations WA CSR Pillar has its own statement of principle, this sets out the commitment that we make to that particular stakeholder. Valuations WA fully recognises that its activities impact the environment and aims to develop a continuous improvement programme working towards sustainability. A printable version of the Environmental Policy can be downloaded here. As a leading property consultant Valuations WA is committed to minimising, as far as reasonably possible, its adverse environmental impact and maximising the opportunities to enhance the environment. These principles are applied to both those impacts we control and those we influence through advice given to clients. We are committed to the prevention of pollution and to environmental enhancement. We accept our Duty of Care responsibilities and aim to comply with legal requirements and standards. In order to achieve this level of excellence, we are fully integrating our environmental policy into our business through the development of an improvement programme. Developing the environmental focus to the services that we provide our clients. Valuations WA is increasing staff awareness of environmental matters by providing information, training and support to employees. All employees are encouraged to support the objectives laid out above. Valuations WA continues to develop awareness of environmental matters by providing information, training and support for employees. Valuations WA aims to actively work with charities on an international, national and local level through financial donations as well as time and resource. Initiatives are run at firm, office and individual level. Valuations WA colleagues are supported in their charity work and given the time to participate. Two main charities are chosen by employees every two years to receive a dedicated proportion of the Valuations WA charity budget, which include the Breast Cancer Foundation of Australia and MS Society of Australia for 2010. Additionally, Valuations WA employees are actively encouraged to take on the individual initiatives themselves, through the City of Surf programme, local community football, through Noranda ECU Football Club and to raise funds for their local and personal causes. Valuations WA is committed to high standards of business ethics in all dealings with clients, colleagues, suppliers and within the community in which it operates. It strives to always act with integrity and in an ethical, honest and reliable manner. All members of the business adhere to the professional ethics and core values of the Australian Property Institute and Royal Institution of Chartered Surveyors. 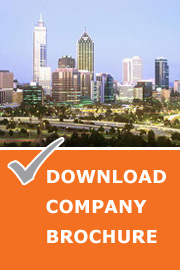 Valuations WA aims to provide the best service to clients. It respects the importance of a client's own corporate social responsibility policies and works to understand the wider context in which a client operates. In the advice we give to clients we also endeavour to understand their commitment to environmental issues, and work to encourage and assist them to improve environmental performance. At Valuations WA our Mission Statement is to 'exceed expectations consistently'. We aim to provide the best property services to clients, recognising that clients may have their own CSR policy within which they work. To encourage and assist clients to improve their environmental performance we have an Environmental Sustainability Group which provides a centre of excellence across the property spectrum on environmental sustainability matters. We try to work with our clients to find ways to further our combined CSR values into areas of joint influence such as the management of buildings. Valuations WA is committed to strengthening ties with local communities to create better local environments. All partners in charge are responsible for maintaining good relationships and ensuring business is conducted in a socially responsible manner. Valuations WA colleagues are encouraged and supported in their community work and their contributions are recognised. Valuations WA shows its commitment to the community in various ways. We believe our employees have a lot to offer their local communities, with their vision and drive towards creating a better local environment. We are developing our involvement in areas across the Australasia for example with mentoring, work placement and pro bono work.